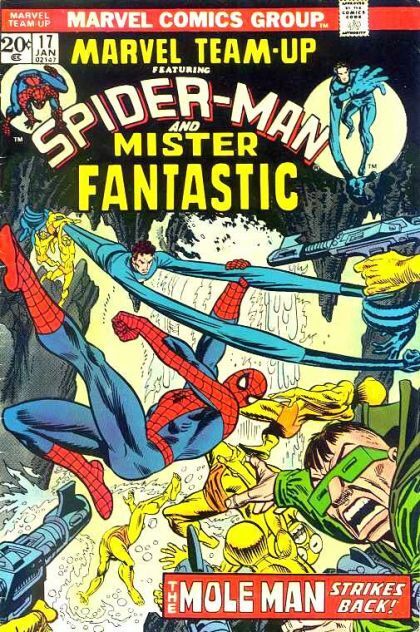 Spider-Man and Mister Fantastic: Chaos at the Earth's Core! Spider-Man needs more science than he has at his command to find Captain Marvel, so his next logical stop is to find Mr. Fantastic. The pair head to the centre of the Earth, and get caught up in a fight between Basilisk and Mole Man over the Omega Stone.